It has been some time since dancehall fans heard new material from deejay Cham. He makes a triumphant return with the song Fighter featuring Damian ‘Junior Gong’ Marley. The track was produced by Madhouse Records’ Dave Kelly, the man behind some of Cham’s biggest hit songs. In an interview with Splash, the Florida-based artiste spoke about Fighter and how the collaboration came about. “The song was recorded some time ago but we were waiting on the right time to release it. Everything takes time and happens accordingly, and for us this was the right time,” he explained. Cham has done some recent recordings with Damian Marley for the Marley-owned Ghetto Youths International label. 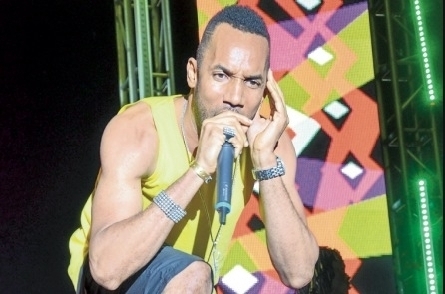 He appears on singer Wayne Marshall’s Go Harder, one of the songs from the latter’s upcoming Tru Colors album which is produced by Marley for Ghetto Youths International. Last year, Cham rode high with Wine and Tun Up both of which featured his wife Ophelia ‘O’ Beckett. Read more of Cham’s interview HERE.